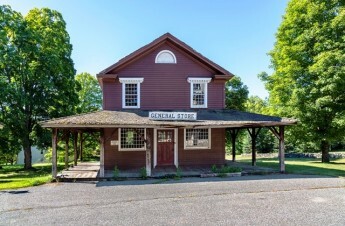 This listing for the village of Johnsonville in East Haddam, Conn. gives a whole new meaning to the 1981 song “Ghost Town” by The Specials. Skipping right over the track’s metaphors for urban decay and inner city violence, Johnsonville isn’t becoming a ghost town – it is a ghost town. A ghost town that you can now own! The entire village will be auctioned off on October 20 with a starting bid of $800,000, though some sources say the property could attract bids as high as $3 or $4 million. The picturesque photos look like classic New England (Oooh, foliage! ), while its 19th century village appearance sort of looks like a scene right out of The Crucible. 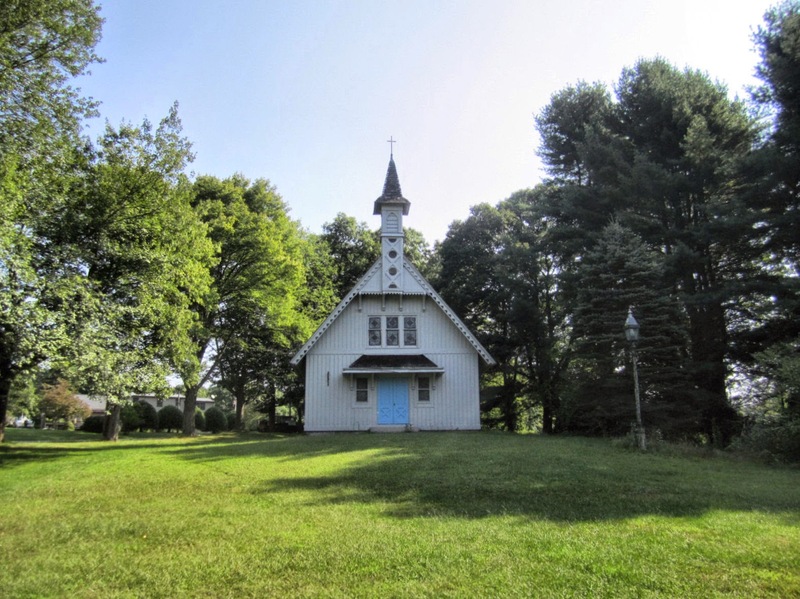 The auction winner will acquire all 62 acres, including a small pond, a waterfall, a covered bridge, two churches, and more that have already been approved for single- and multi-family homes, entertainment, retail and education. Sure, there’s all those rumors of actual ghosts and hauntings thanks in part to a National Geographic show called “Abandoned,” but Johnsonville was also the home of Billy Joel’s “River of Dreams” video and part of Cuba Gooding Jr.’s film “Freedom.” Hooray, pop culture! Originally, Johnsonville was sectioned off because of its lack of sewer and water capabilities. Then, in the early 90s, its former owner Raymond Schmitt battled zoning officials in hopes of turning it into a resort, but plans for that fell through after he…uh….died. Schmitt’s family auctioned off his holdings to a hotel developer in 2008, but those plans also fell through, most likely because of the whole lack of water thing. That said – you can own a ghost town, people! If the lack of facilities is bringing you down, find other uses for the beautiful, yet dead empty space you just snagged. Rent the property out to a reality show so the world can finally see a second season of Kid Nation! 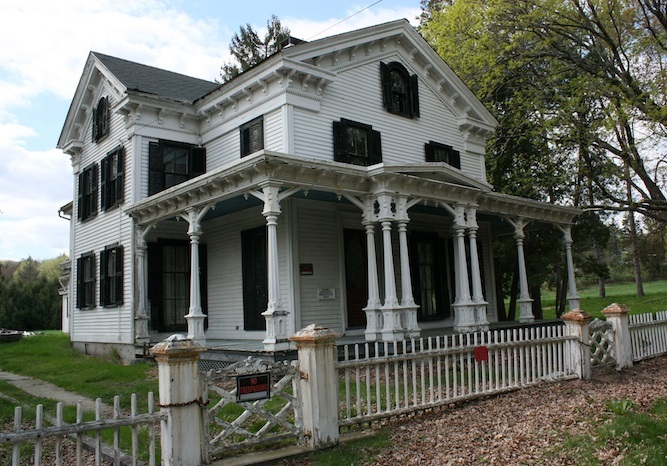 Start a ghost tour company, make up your own stories, and just attribute them to the land - see the profits fly in! You could even turn it into a Fake Haunted Town-type of Halloween attraction. Add in some hayrides, sell some pumpkins, and voila! Then, if you find out the joint is actually haunted...bonus! OK, so maybe I’m not sure exactly what one would do after becoming the Mayor of Whoville or Kamp Krusty Director or whatever. But if you ever dreamed about the opportunity of filming your very own sequel to a classic film about the Salem Witch Trials, now’s your chance to jump on it. Nick Caruso is RISMedia's Senior Editor. He would probably spend a night alone in a ghost town, but only if you triple-dog-dared him and offered up a cash incentive. Great post. As a former member of the International Association of Haunted Attractions (yes, believe it or not) this really gave me some ideas. Thoroughly enjoyed the video and yes, I’ll triple dog dare you Nick.No cash incentive should be needed. a lifetime of Bragging Rights should be enough incentive. Oh I would love to buy that property. This is something I’ve dreamed of. I could pick who lives there.